2012, Taipei, Taiwan — FZtech as a creator in designing and developing high-performance technology products, FZtech is excited to announce the addition of the “Eiffel Series” FZT-S1. The aluminum tablet stand is portable and convenient that supports tablet computers for maximum ease of use. The tower holds tablets securely with adjustable 360-degree rotation which allows tablet users to easily work for long periods of time and share media to friends at any angle with comfort. The lightweight aluminum body makes the tower portable and convenient at just 425 g. Its smooth metal surface elegantly meets the satisfaction of designers, gamers and working professionals. With dimensions standing at 28.9 x15.2 x16.3 cm, the tower takes up a minimum of space. For several advanced features of Eiffel Series – portable, lightweight, and stability, FZT-S1 plays a perfect companion for tablets around home & work in terms of watching & displaying everywhere. It supports a wide range of applications, such as handy recipes in kitchen, entertaining, comfortable lounging, video call screen and online meeting. 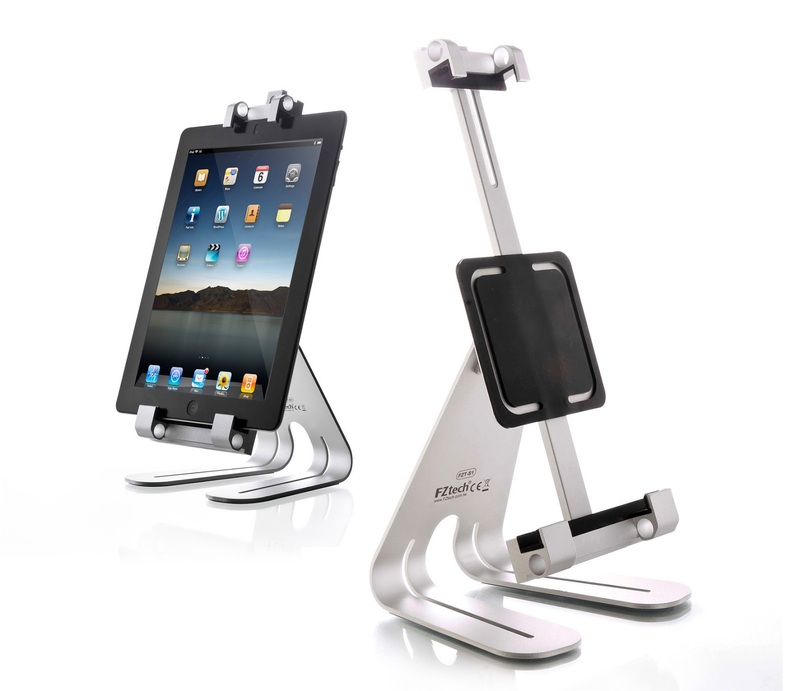 Stability is part of the “Eiffel Series” DNA which is the same as another product line FZT-P1 stand for smartphones. Automobile-grade rubber stops in each corner of the frame grip the tablet, making sure it doesn’t go anywhere. Along with rubber stops, the base of the Tower includes a handy slot for holding a stylus. The FZT-S1 is compatible with iPad, iPad2, New iPad, Samsung Galaxy and more, eliminating the limits to creativity.